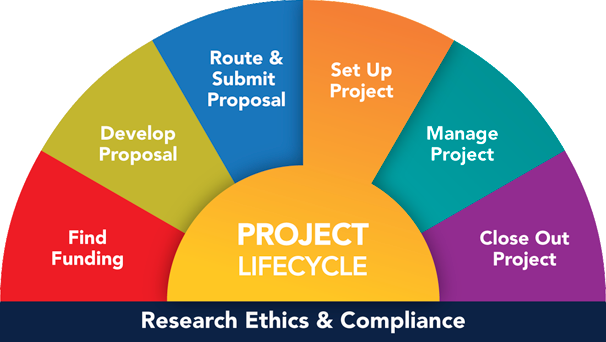 Many of the tasks in Set Up Project come just after you Route & Submit your proposal but before the project is awarded. Therefore you could think of some aspects of the Set Up Project phase as a Pre-Award / Post-Submission mini-phase. This section describes what you can expect upon receiving your award and how to Set Up your project. After Routing and Submitting Your Proposal, there is waiting time often referred to as the Pre-Award/Post-Submission period. Before your Notice of Award is issued and you set up your project, the following things may need to be addressed. PEERRS Training - Program for Education and Evaluation in Responsible Research and Scholarship training courses are required per university, state, and federal regulations regarding the responsible conduct of research (RCR). PEERRS certification may be required for participation on a study or project team, depending on your role (e.g., Principal Investigator), the funding source (e.g., NIH), and/or the type of research (e.g., human subjects). Request a Hardship - Prior to having an award in hand, you may need a project grant (P/G) number set up in advance to spend funds. If approved, the hardship process permits work to begin and costs to be properly allocated in situations. A Notice of Award (AWD) is an emailed alert that comes from the eResearch Proposal Management (eRPM) System to all listed on an AWD. It provides the AWD number that helps establish the project/grant (P/G) number in the U-M accounting system for the project. The more detailed award documentation materials are included only with the Notice of Award that is sent to the Project Director/Principal Investigator (PI). Special terms and conditions of the award are identified, including cost-sharing commitments, and key personnel responsible for assisting in the administration of the project are listed with the associated Award documents. Subsequent changes in terms and conditions, additional funding, time extensions, and other modifications will be identified by a Modification in the eResearch system.